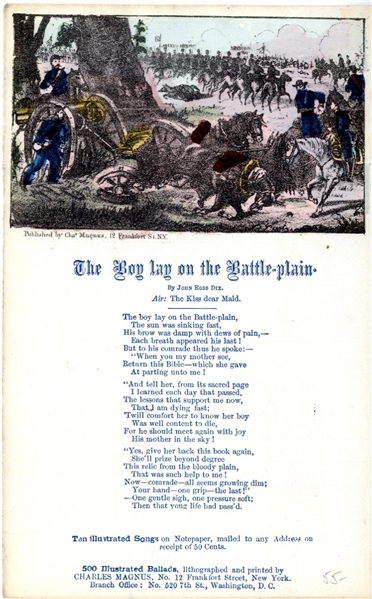 Hand-colored song sheet “The Boy lay on the Battle-plain” By John Ross Dix, 1pp. octavo, published by Charles Magnus. Fine condition.